Tyler starts is off with this photo of the pool deck on Freedom of the Seas. Caroline sent in this photo of Navigator of the Seas docked in Oslo, Norway. 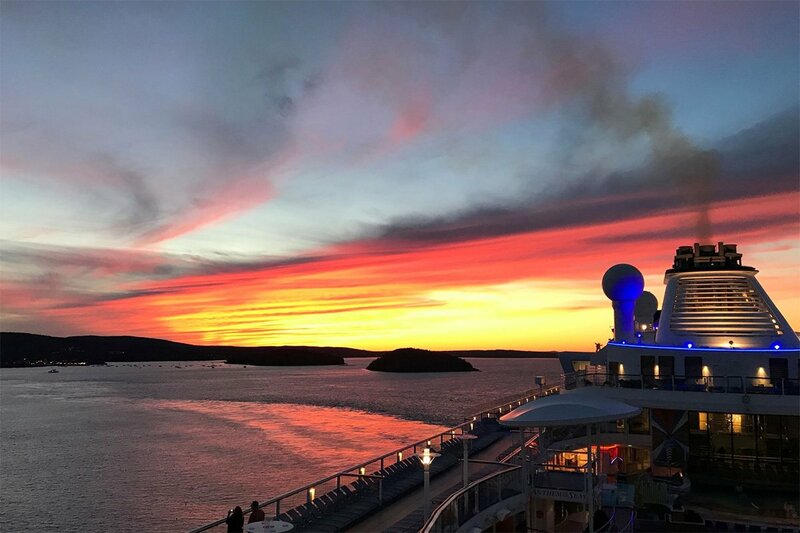 I love a good sunset photo, and Michelle P. caught a beautiful one over Bar Harbor, Maine while on Anthem of the Seas. Anne W. took this photo of Majesty of the Seas docked in Key West while on her way to a trolley tour. Here is a photo of Mariner of the Seas departing Singapore, as seen by Ho Hsin Chun. Here is a great view of the Ultimate Abyss. Photo by Ursula Good. We have another beautiful photo to share, this one of Radiance of the Seas in Seward, Alaska. Photo by Kath Pfister. 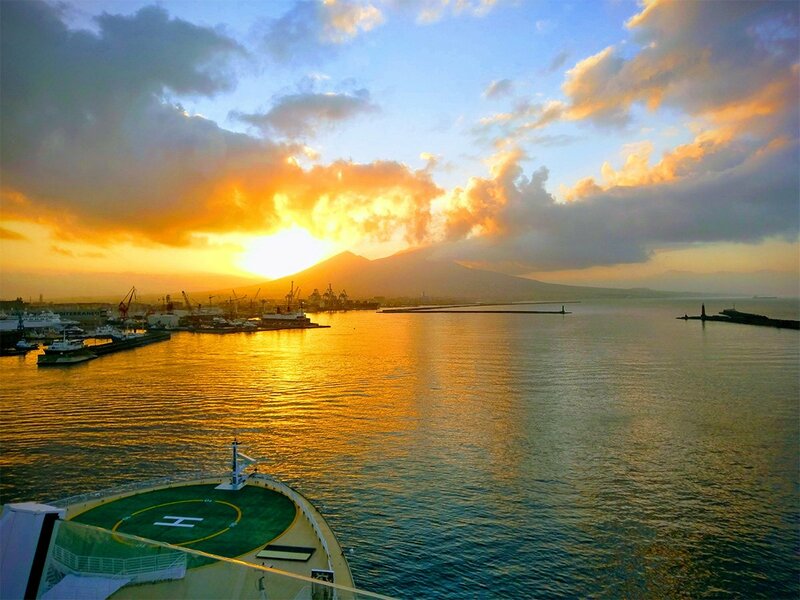 Every Friday, we show off the Royal Caribbean photos that our readers have sent us in a special blog post. 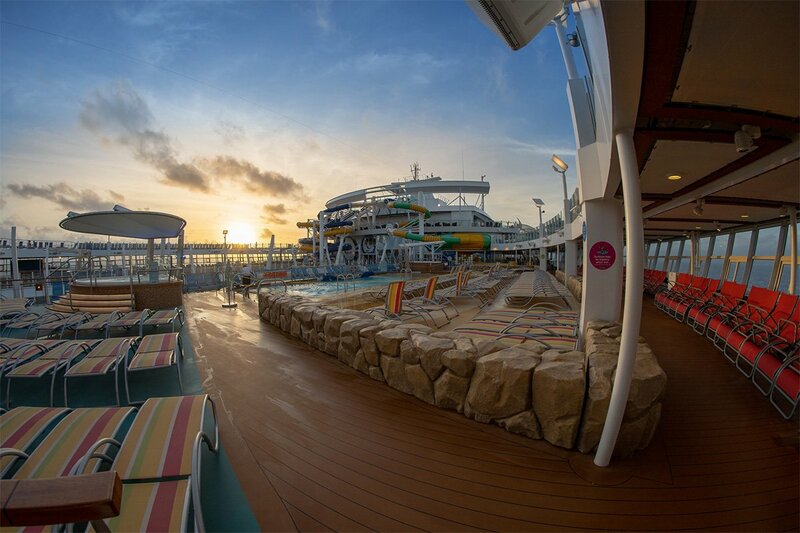 Each week, we invite our readers to send us their favorite Royal Caribbean photos and we post them right here. Without further adieu, let's jump right into this week's batch of photos! We start with this photo by Roger Salzmann of Rhapsody of the Seas in Santorini. Check out this beautiful photo of sunrise on Harmony of the Seas, taken by Mike Sperduto. Next is a photo of Anthem of the Seas in Labadee. Photo by Michael Kho. Allyson Yoshida took this photo from on top of Mount Roberts Tramway in Juneau, Alaska while sailing on Radiance of the Seas. Here is a photo of sister ships docked next to each other by Henry Greenfield. Rob Young took this photo of Freedom of the Seas docked in St. Thomas. David Morris took this photo of night view of Central Park while on Symphony of the Seas. Would you like to submit your Royal Caribbean photos for a future Friday Photos post? Use this form to send them to us and we will feature them very soon! Every Friday we share Royal Caribbean cruise photos that our readers sent in, as a means of showcasing great photography and giving all of us a "virtual break" to enjoy the view of being on a cruise. If you want to send in your photo, use this form and we could feature it in an upcoming post. We begin with this photo of Explorer of the Seas near Dawes Glacier in Alaska, taken by Kathy Pfister. Next up is a photo of Freedom of the Seas, as seen from the helipad. Photo by Rob Young. 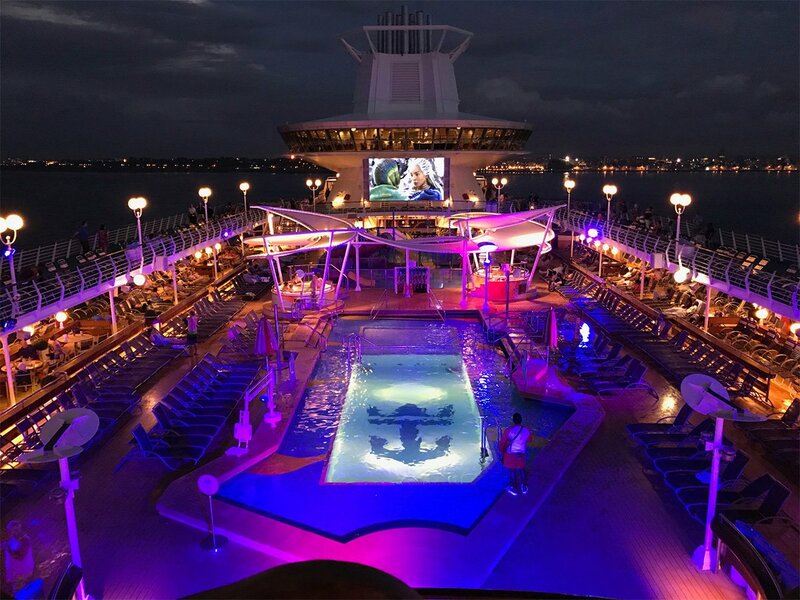 Krisztina Benko took this photo of the pool deck on Majesty of the Seas, while docked in Havana, Cuba. A peek through the sliding doors on Grandeur of the Seas by Gwendolyn Salzman. Joe Moran shared this photo of Freedom of the Seas, right after a rain shower passed by the ship. Check out this shot by David Ep of Grandeur of the Seas and Allure of the Seas in Antigua. Our last photo for this week is by Michael Bonham, and it is of Explorer of the Seas in Sydney Harbor, as seen from Bridgeclimb. Thank you to everyone that shared their photos with us this week! If you want to share with us your photos, use this form to send them in! Welcome to this week's edition of Friday Photos, where we showcase our readers favorite Royal Caribbean photos. If we all cannot be on a Royal Caribbean cruise at the moment, then the next best thing is to look at photos of a cruise longingly as a means of getting a "cruise fix." If you want to submit your photos for a future Friday Photos post, be sure to send them to us via this form. Our first photo this week is by Melissa Turner, and it is a panorama photo from the Olive or Twist bar on Freedom of the Seas. Shawn Ng took this photo of Ovation of the Seas docked in Marina Bay Cruise Centre, Singapore. Next up is a photo of Grandeur of the Seas in Bar Harbor, Maine. Photo by Wayne D Stephens. Justin Amrhein took this photo of Enchantment of the Seas sailing out of PortMiami. 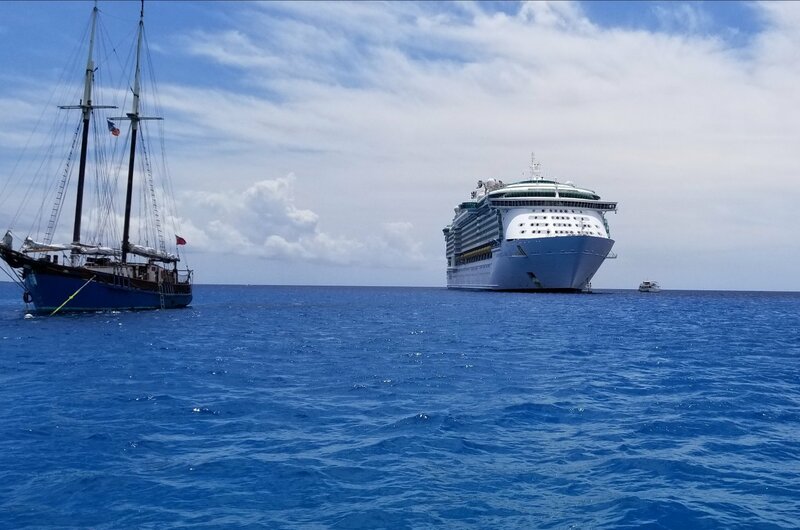 Here is a shot of Rhapsody of the Seas in Cozumel, taken by Ken. Stephanie Morgan and her daughter, Alyssa, took this photo from the Captain's chair on Independence of the Seas. We wrap things up with this shot of Freedom of the Seas and Brilliance of the Seas docked in Cozumel. Photo by Jeff LeBriton. That wraps up this week's edition of Friday Photos. If you want your Royal Caribbean photo featured here, use this form to send them in! We begin with this pholto of Harmony of the Seas docked in San Juan, Puerto Rico, taken by Maarten Goldstein. Jill Arslanian shared this photo of a lovely evening on Oasis of the Seas. 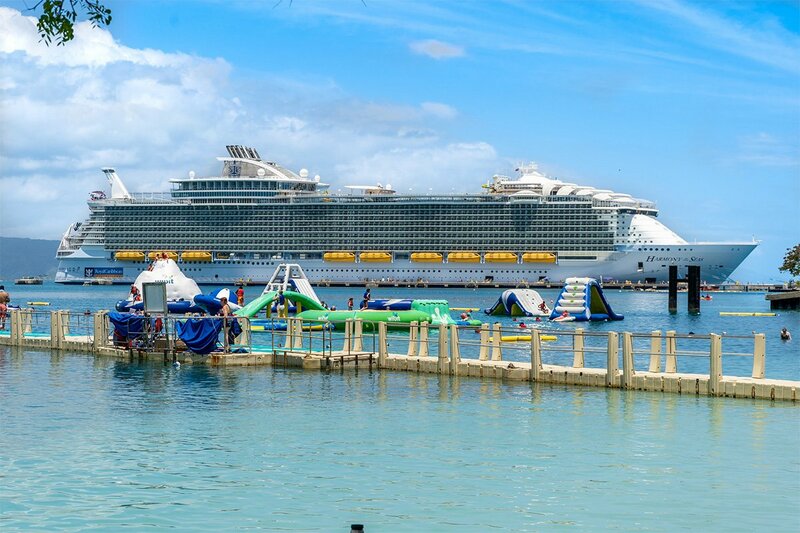 Check out this photo of Harmony of the Seas in Labadee, taken by Rebecca Thibert. David J. sent in this photo of his Grand Suite from aboard Grandeur of the Seas. 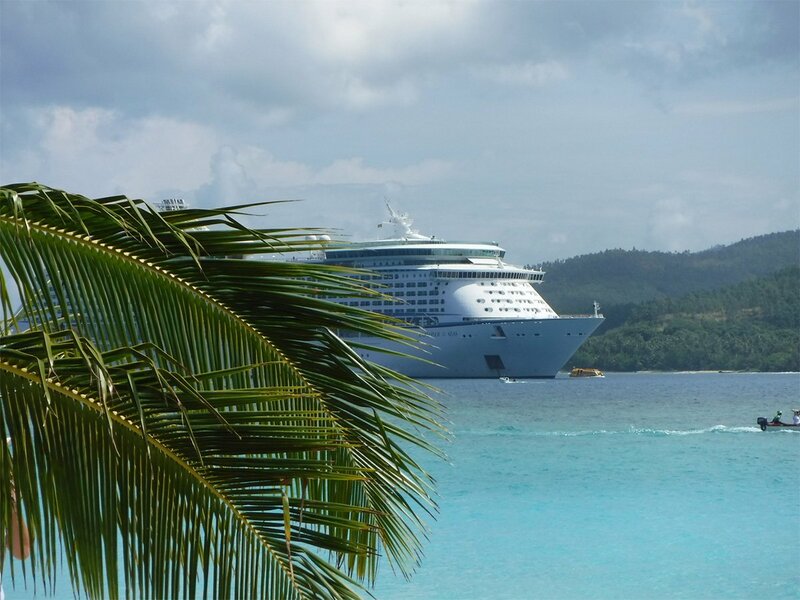 Here we have Explorer of the Seas "peeking" through the palm trees while moored at Mystery Island, Vanuatu. Photo by Lovina McKenzie. Jason took this photo of Symphony of the Seas all lit up at night. Our last photo this week is by Brian Robinson of the sunrise, as seen from on Oasis of the Seas. We begin with this photo by Lindsay Janek of a 747 landing near Maho Beach in St. Maarten. Soeren Ellehauge captured this photo of the sunrise in Barcelona while on Symphony of the Seas. Next is a photo of Explorer of the Seas in Seattle, Washington, which was taken by Kimberly as she boarded. Travis N. took this photo of Independence of the Seas anchored off the coast of Grand Cayman. Take a look at this shot of the Boardwalk on Oasis of the Seas, taken by Wayne D Stephens. David Ep sent in this photo of Allure and Grandeur of the Seas in St. Thomas. Our final photo this week is by Donna Clark, and it is of St. Kitts as Freedom of the Seas approached the island. The weekend is here and every Friday, we share our readers' favorite Royal Caribbean photos so that we can all enjoy a quick "virtual trip" back on a cruise. If you want to share your Royal Caribbean photos, use this form to send them in! Cathy Drew sent in this photo from her balcony as her ship entered Marlborough Sound, Picton New Zealand. Henry Greenfield sent in this photo of sunset over Miami. Wayne D. Stephens shared this photo of the theater on Vision of the Seas. 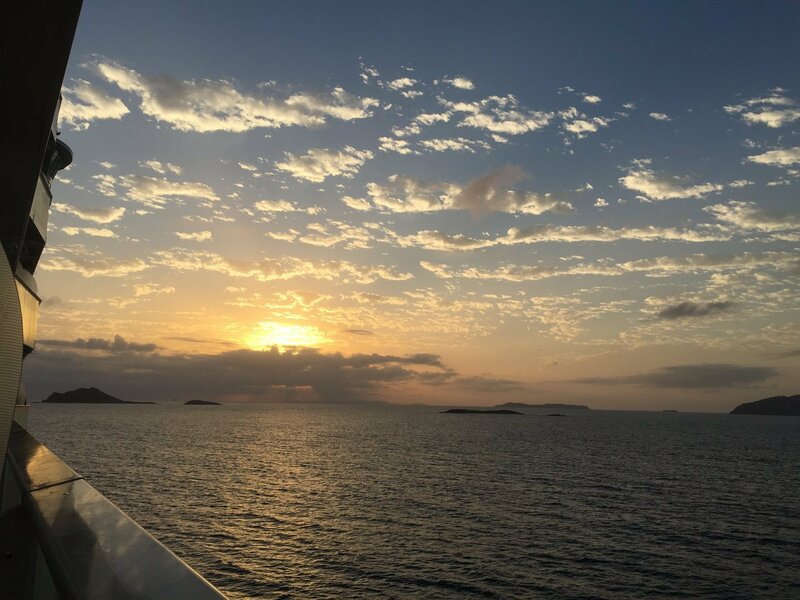 Vania Guillot took this photo of sunset from her baclony on Anthem of the Seas. Jeanne Fulton took this photo of Mendenhall Glacier while on Explorer of the Seas. Cruisin' Susan had to share this photo of hier "big winnings" in the casino on Harmony of the Seas. Our final photo this week is from Vivian, and it is of Explorer of the Seas just off the island of Lifou in the South Pacific. Thank you to everyone that sent in their Royal Caribbean photos and if you want your photos featured here, be sure to send us your favorite photos with this form!